URIX OS (formerly NetSecL) was a security-focused distribution and live DVD based on openSUSE. To improve the security aspect of the distribution, servers have been removed, incoming ports closed and services turned off. Additionally, several penetration tools have been included. Rate this project Jeff Hoogland has announced an early development snapshot of Bodhi Linux 5.0.0. The new alpha release is based on Ubuntu 18.04 LTS and runs the Moksha desktop environment, which is a fork of Enlightenment. "Some highlights about these 5.0.0 ISO images: Ubuntu 18.04 base; Moksha 0.3.0 testing release; 32-bit and non-PAE support with 4.9 kernel in Legacy ISO image. Please note the focus of these ISO images was simply getting Moksha up and running on the Ubuntu 18.04. I have yet to clean out the ISO images of excess clutter or ensure that everything we expect to deliver a full Bodhi experience is present. We hope these discs will help serve as a testing ground for some of the changes we have been back porting for Moksha before we tag a 0.3.0 release of the desktop. Because we are a project driven 100% by volunteers, there are no strict time lines for how the release cycle for 5.0.0 will fully pan out. Keep your eye on this page for updates as we get time to work on things. Also keep in mind that any future releases towards 5.0.0 you will be able to upgrade to via your package manager so installing early is fine so long as you don’t mind the occasional issue here and there." Additional information and a screen shot can be found in the project's release announcement. Download (MD5) (pkglist): bodhi-5.0.0-64-alpha.iso (719MB), bodhi-5.0.0-legacy-alpha.iso (766MB). Jeff Hoogland has announced the release of Bodhi Linux 5.0.0. Bodhi Linux is a lightweight Ubuntu-based distribution featuring Moksha, an Enlightenment 17-based desktop environment. The project takes a decidedly minimalist approach by offering modularity, high levels of customisation, and choice of themes. "Today I am very pleased to share the hard work of the Bodhi Team which has resulted in our fifth major release. It has been quite the journey since our first stable release a little over seven years ago and I am happy with the progress this projected has made in that time. For those looking for a lengthy change log between the 4.5.0 release and 5.0.0, you will not find one. We have been happy with what the Moksha desktop has provided for some time now. This new major release simply serves to bring a modern look and updated Ubuntu core (18.04) to the lightning fast desktop you have come to expect from Bodhi Linux." Information on the new version can be found in the project's release announcement. The distribution is available in three editions: Standard, Legacy (for older, 32-bit computers), and AppPack which includes more software on the installation media. Download (pkglist): bodhi-5.0.0-64.iso (706MB, SHA256), bodhi-5.0.0-apppack-64.iso (1,397MB, SHA256), bodhi-5.0.0-legacy.iso (725MB, SHA256). Jeff Hoogland has announced the availability of the release candidate for Bodhi Linux 5.0.0, an upcoming major new version of the Ubuntu-based distribution that features the Enlightenment-based Moksha desktop environment: "Today I am very pleased to share the hard work of the Bodhi team with our latest 5.0.0 pre-release disc which we are tagging as a 'release candidate'. These disc images have no major issues that our team has been made aware of and will likely be fairly close to the images we will tag as a stable release later this quarter. Past providing our rock solid Moksha desktop on an Ubuntu 18.04 base, these disc images are the first to feature our fresh new look which is a modified version of the popular 'Arc Dark' theme colorized in Bodhi green. Also included are a fresh default wallpaper, login screen and splash scenes as your system starts up. You should note that we still do not have an 'AppPack' release for our 5.0.0 series yet. This will be included with our second release candidate (if needed) as well as the final stable release." Read the rest of the release announcement for more information and screenshots. Interested testers can download the live DVD images from SourceForge: bodhi-5.0.0-64-rc.iso (750MB, SHA256, pkglist), bodhi-5.0.0-legacy-rc.iso (763MB, SHA256). Jeff Hoogland has announced the release of Bodhi Linux 4.4.0. Bodhi Linux is based on Ubuntu LTS and features the Moksha desktop environment, a fork of Enlightenment. The new version of Bodhi Linux features several package updates, including version 4.13 of the Linux kernel. The project's release announcement states: "Today I am pleased to announce the release of Bodhi Linux 4.4.0. This is a normal update release and it comes three months after the release of Bodhi 4.3.1. Existing Bodhi 4.x.y users do not need to reinstall as the primary goal of this update release is to simply keep the current ISO image up to date. This release image includes EFL 1.19.1, Terminology 1.1.0, Ephoto 1.5, and Linux kernel 4.13. As with every release in the 4.x.y Bodhi series it is built on top of the rock solid foundation that is Ubuntu 16.04." 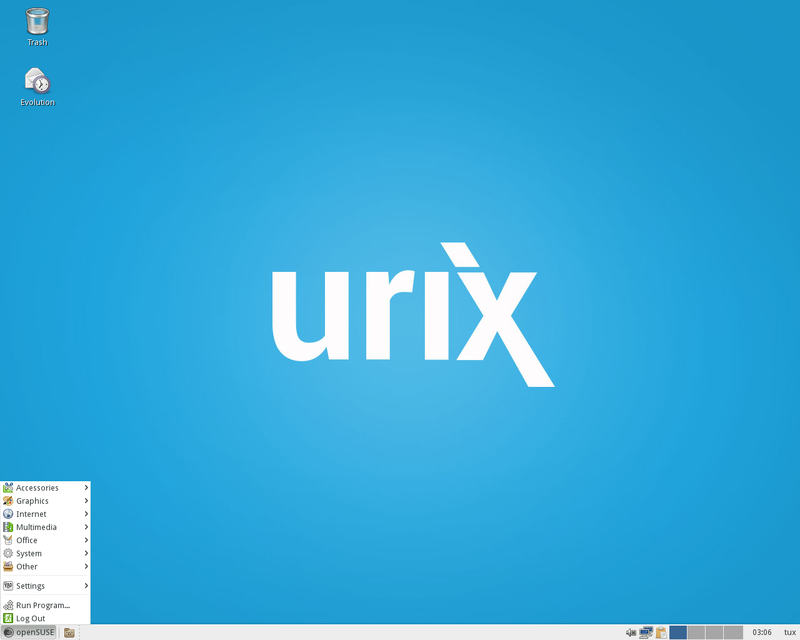 Bodhi Linux is available in three editions: Standard, AppPack (with additional applications), and Legacy for older computers. Download (pkglist): bodhi-4.4.0-64.iso (737MB, MD5, torrent), bodhi-4.4.0-apppack-64.iso (1,342MB, MD5, torrent), bodhi-4.4.0-legacy.iso (691MB, MD5, torrent). Jeff Hoogland has announced the release of a new version of the lightweight Bodhi Linux distribution. Bodhi ships with the Moksha desktop (a fork of Enlightenment) and is available in three flavours: Standard, AppPack (offering more applications) and Legacy (for older computers). The project's release announcement reads: "Today I am pleased to announce the release of Bodhi Linux 4.3.0. This is a normal update release and it comes three months after the release of Bodhi 4.2.0. Existing Bodhi 4.x.y users do not need to reinstall as the primary goal of this update release is to simply keep the current ISO image up to date. This release image includes EFL 1.19.1, Terminology 1.1.0, Ephoto 1.5, and Linux kernel 4.11. As with every release in the 4.x.y Bodhi series it is built on top of the rock solid foundation that is Ubuntu 16.04." Update: Due to a bug in the 4.3.0 media, a bug-fix release, 4.3.1, has been released. Download (pkglist): bodhi-4.3.1-64.iso (695MB, MD5, torrent), bodhi-4.3.1-apppack-64.iso (1,301MB, MD5, torrent), bodhi-4.3.1-legacy.iso (680MB, MD5, torrent). Jeff Hoogland has announced the release of Bodhi Linux 4.2.0. Bodhi Linux is an Ubuntu-based distribution featuring a fork of the Enlightenment desktop called Moksha. The new version is a minor update to Bodhi Linux and existing users of 4.1.0 will not need to upgrade via new installation media. One of the important changes in 4.2.0 is the dropping of the 32-bit PAE-enabled installation media. Older, 32-bit computers are still supported through Bodhi's Legacy edition: "This is the first release in which we are dropping our 32-bit PAE discs. I would like to clarify that we are still supporting 32-bit computers, but if you need to install the 32-bit version of Bodhi Linux the only version we are preparing is our Legacy ISO image. The Legacy image will work on PAE and non-PAE 32-bit hardware alike. If your computer needs a PAE kernel to utilize all of its memory it is likely better for you to be using a 64-bit operating system anyways. If you do feel the need to use a PAE kernel on a 32-bit operating system with Bodhi though, you can always install the Legacy release and then change kernels afterwards. The release announcement has further details. Download (pkglist): bodhi-4.2.0-64.iso (711MB, MD5, torrent), bodhi-4.2.0-apppack-64.iso (1,293MB, MD5, torrent), bodhi-4.2.0-legacy.iso (663MB, MD5, torrent). Jeff Hoogland has announced the availability of a new stable version of Bodhi Linux. The new version, Bodhi Linux 4.1.0, is an update to the project's 4.x.x series and is mostly a bug-fix release. "Today I am happy to announce the first scheduled update release of the Bodhi Linux 4 branch - Bodhi Linux 4.1.0. This release serves to package up the fixes for a few bugs that slipped through the cracks in the 4.0.0 release, as well as provided updated package sets for the install ISO images. Most notably these ISO images come with EFL 1.18.4, Linux Kernel 4.8, and a new Moksha Theme based on the 'Arc Dark' theme. Existing Bodhi 4.0.0 users already have the bug fixes incorporated into these ISO images, but they will need to manually install the newer kernel and theme if they wish to utilize them." Further details can be found in the project's release announcement. The Bodhi release is available in both 32-bit and 64-bit flavours, and it provides two specialist editions - "AppPack" with a large number of pre-installed applications and "Legacy" for older computers. Download: bodhi-4.1.0-64.iso (686MB, MD5, torrent), bodhi-4.1.0-apppack-64.iso (1,287MB, MD5, torrent), bodhi-4.1.0-legacy.iso (659MB, MD5, torrent). 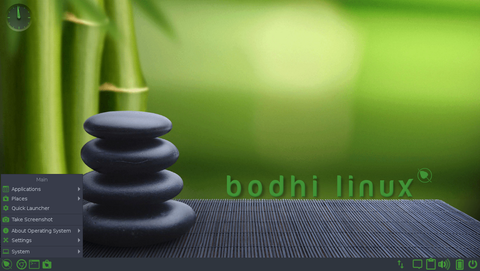 Bodhi Linux 4.0.0 has been released. Bodhi is an Ubuntu-based distribution featuring a custom-built variant of the Enlightenment desktop named "Moksha", with some usability tweaks and other enhancements. This release is based on Ubuntu 16.04 which is supported until April 2021. From the release announcement: "Hot on the heels of the Moksha 0.2.1 desktop release, I am happy to announce the stable release of Bodhi 4.0.0. The highlights of this release are: Ubuntu 16.04.1 core; Moksha 0.2.1 desktop; Linux 4.4 kernel; EFL 1.18.1; new and updated Moksha modules. Ultimately, our end users should be pleased to see the same stable operating system they have grown accustomed to in the past years, with newer application versions the updated Ubuntu LTS brings with it. I would like to take this time to remind users that we do not support a direct upgrade path from 3.2.1 to 4.0.0." The Bodhi release is available in both 32-bit and 64-bit flavours, and it provides two specialist editions - "AppPack" with a large number of pre-installed applications and "Legacy" for older computers. Download links: bodhi-4.0.0-64.iso (647MB, SHA256, torrent, pkglist), bodhi-4.0.0-apppack-64.iso (1,248MB, SHA256, torrent), bodhi-4.0.0-legacy.iso (639MB, SHA256, torrent). Jeff Hoogland has release a new development build of the upcoming Bodhi Linux 4.0.0, an Ubuntu-based distribution featuring a custom-built variant of the Enlightenment desktop named "Moksha": "We are finally nearing the end of the 4.0.0 release cycle. If all goes as planned I will publish a final set of ISO images by the end of the month, flagged as stable. These ISO images come with only one known issue and that is the file selector in the theme tool currently does not display selectable files. A workaround is to click the 'advanced' button to assign theme components. This set of ISO images includes not only 32-bit and 64-bit images that have been stripped down to under 700 MB, but also a 32-bit legacy/non-PAE release to support older hardware. Other thing to note in this release is that the default profile has had a number of improvements including: main menu facelift; improved screenshot module; clipboard manager iteration; better GTK+ and Qt application integration...." Continue to the release announcement for more information. Download: bodhi-4.0.0-64-beta.iso (638MB, SHA256, pkglist).